October 11 2017: Is Raja Ampat for sale? Not if the members of the Raja Ampat Homestay Association have a say! Today sees the launch of Indonesia for Sale: An in-depth documentary series produced by The Gecko Project and Mongabay. 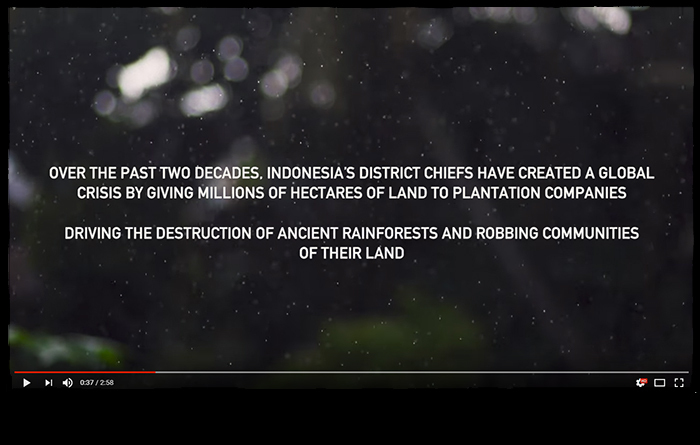 The series investigates the linkages between corruption, palm oil and the wholesale destruction of Indonesia’s rainforests. It’s a little known fact that palm oil plantation leases have been issued over at least 13% of Waigeo’s forests. It’s entirely possible that those leases were issued by the government without either the knowledge or the informed consent of the communities to whom the lands traditionally belong. Thankfully, no development has begun on these as yet, despite the leases being issued some years ago. That may change if the current head of government’s plan to build a ring road around Waigeo are realised. Why a ring road? Well, we’ve read that the idea is to better service the remote villages around Waigeo’s coastline, but that seems unlikely to work: Nobody in those villages own motor vehicles. It’s also difficult to imagine that either villagers or Waisai-based service providers would opt for a long, rough vehicle ride over poorly maintained forest roads, rather than to continue to travel by boat as at present. Especially if headed for the eastern half of the island! Regardless of the true reasons for construction of such a road, Indonesia for Sale highlights the problem faced by local communities and traditional custodians of land in Raja Ampat. Traditional forms of land ownership in Indonesia are not supported by government-issued title deeds. In Raja Ampat, land is held almost exclusively by adat (customary law). 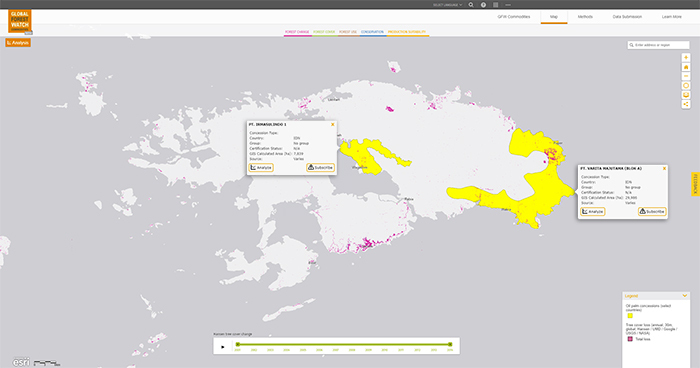 Any government appropriation of customary lands in Raja Ampat is much more likely to be for the benefit of tourism developers, rather than palm oil companies as examined in Indonesia for Sale, but the outcome is the same. The testimony of the dispossessed in the Indonesia for Sale trailer above is echoed in the experience of many Raja Ampat communities. Those testimonies illustrate yet again why the success of the homestay sector in Raja Ampat is essential to the achievement of conservation goals in the islands. Economic empowerment is the only means by which local communities and landowners are able to influence any government programs that might offer Raja Ampat for sale to the highest bidders. The Raja Ampat Homestay Association’s success in providing such economic empowerment while working to preserve their fragile ecosystems was recognised by their being awarded a United Nations Development Programme 2017 Equator Prize. The biggest prize though, is your continued patronage. Every booking of a Raja Ampat homestay directly contributes to the support of local communities in their efforts to conserve both their way of life and Raja Ampat’s marine and terrestrial environments. Thank You for this insightful news. Please keep the information and news available as we are interested and share your concerns.